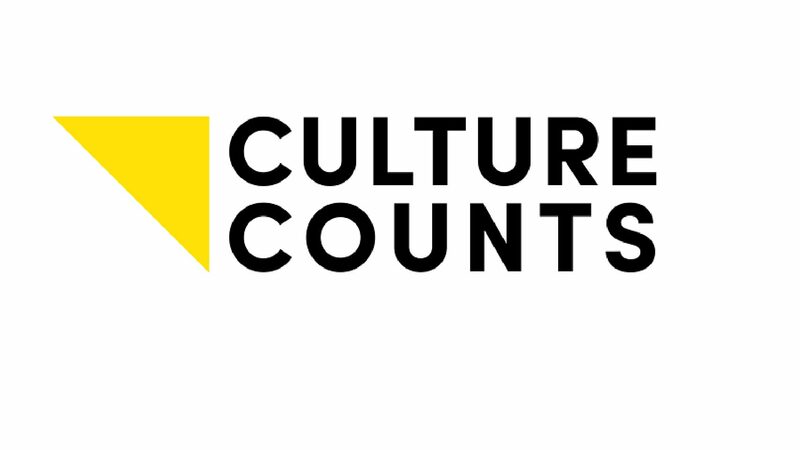 Culture Counts is the collective voice of Scotland’s cultural sector. Members are the umbrella organisations from the arts, screen, heritage and creative industries. The group formed in 2011 to advocate for the value and importance of culture to life in Scotland. Recently we’ve been looking at culture’s impact on health; an interest we share with VHS. At a recent VHS Breakfast, someone suggested a poster exhibition for the November conference. As a Comms Manager, with a background in design, I fancied my chances at making something interesting for the exhibition. Even if I say so myself. Culture Counts is evidence led. We gather papers on the impact of culture across different policy areas on our Research Tumblr. I wanted to find some academic research to reference in the poster. Although there are many reports and papers, it was difficult to pick out the most useful facts. Should I quote something that celebrates the creativity of a project? Or should I look for something that speaks to health care professionals? Could I find something compatible with both? I confess, I got distracted after combing through heavy academic writing. I wandered off into the internet to read something lighter on ‘Medium’. I found a piece about athletics training interesting enough to click on. In the article was a quote that spoke to the cross sectoral themes of the conference. Archibald Vivian Hill (CH OBE FRS) was born in Bristol in 1886. Known for his work in physiological thermodynamics, he won the Nobel Prize for Physiology in 1922. The quote encapsulates the conference’s exploration of culture, health and wellbeing. The poster clips the most romantic bit of the quote, ‘The chemist and the poet are both right’. We hope Hill’s words inspire confidence in the cross sector exploration the VHS conference will facilitate. Hill reassures us that collaboration between culture and health practitioners is not new. The quote is from ‘The Ethical Dilemma of Science, and Other Writings’ published in 1960. (New York: Rockefeller Institute Press). Our poster promotes the new Culture Counts Useful Facts page. As I found in designing the poster; absorbing all the research is heavy work. This online communications tool helps users access useful facts for advocacy more easily. We are amplifying evidence of the benefits of culture to people’s lives. Useful Facts is still in development but a Beta version is online now. Andy Stirling Robertson is the Communications Manager for Culture Counts.